The British coal miner’s strike of 1984-85 has been fodder for several small but scrappy films in the last twenty years, including Brassed Off (1996), Billy Elliott (2000) and the steel-industry based but still scrappy The Full Monty (1997). Joining this award-winning lineup is Pride (2014), which won a BAFTA and the heretofore unheard-of “Queer Palm” at Cannes, and is now out on DVD and streaming video on demand. What’s fascinating about these four films is that although they seem to be about the decline of industrial Britain, they end up as explorations of gender and sexuality, particularly the crisis of masculinity when working-class men’s occupations are taken away from them. 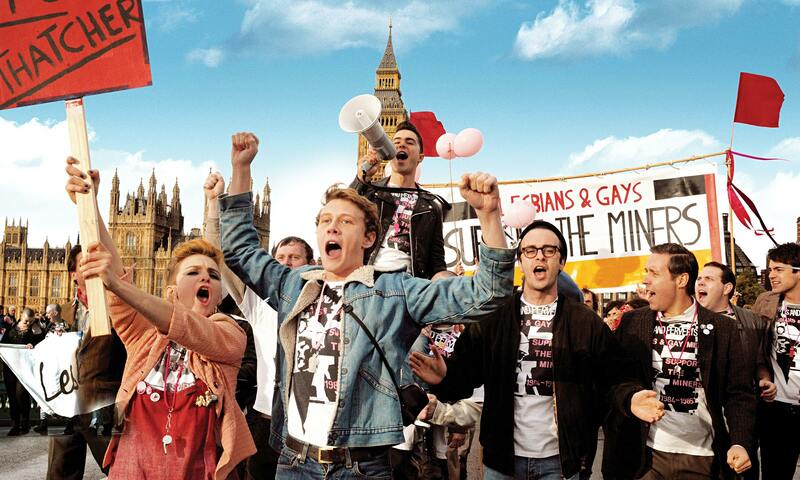 Pride contrasts with the other films in that it is a true story. At the 1984 Gay Pride march in London, several commie queers (literally) began carrying buckets to collect funds for striking coal miners for food and supplies as they faced down the Thatcher administration. 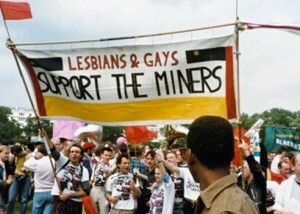 The film picks up at the unlikely first meeting of Lesbians and Gays Support the Miners (LGSM), founded by a fresh-faced Northern Irishman, Mark Ashton (Ben Schnetzer) and London lefty Mike Jackson (Joseph Gilgun). The first hurdle to be overcome as they meet in a London gay bookshop–called Gay’s the Word–is their own skepticism. Ashton, cast as the charismatic leader of the group, helps the assembled punks and misfits see the connections between their lot and the miners’: the miners and the gays are abused by the police; the miners and the gays are hated by the government and the tabloid press. Once sufficient numbers of big city queers are convinced of the need for solidarity with the miners, they have to find some miners who are willing to accept their help. After multiple calls to union halls are met with hasty hang-ups, they finally succeed in connecting with the humble burghers of the Welsh town of Onllwyn. The motley crew that finally descends on Onllwyn to meet with the union and town leaders consists of the queer communists, the gay bookshop owners, a gay youngster from the suburbs just coming out, and three very punk lesbians. If you want to imagine a parallel, think of 1980s ACT UP and Queer Nation New Yorkers encountering coal miners in Eastern Kentucky or Tennessee. Clash-of-worlds comedy ensues, as “the gays and lesbians” (which actually becomes their group moniker) face a blend of horror and curiosity. Fortunately, the village has Hefina (Imelda Staunton) of the women’s auxiliary and Cliff (Bill Nighy), a distinguished local poet, as wise town elders to encourage the rural locals to come out of their shells and embrace their unlikely supporters. Progressive Pepper Pot: Imelda Staunton and Dominic West in one of the obligatory dance scenes. Other townspeople are curious as to whether it’s a requirement for lesbians to be vegetarian. It’s even worse than they’d imagined: some of them are vegan. Soon, Jonathan Blake (played by the beguiling Dominic West, of The Wire), an actor and one of the bookstore owners, has started a dance party with some local girls who are desperate for disco. The local boys, who are desperate for the local girls, approach Jonathan for dance lessons. Pints all around and everyone is having fun, except for a local Christian family that literally hides behind curtains while plotting against the perverts that have invaded their town. Most of the townspeople learn to appreciate the gays and lesbians, and see them as a breath of fresh air. Of course there are more dance sequences, with Imelda Staunton leading her posse of pepper pots onto the disco floor to cut up with half-naked gay men when the cultural exchange shifts to London. These scenes are maybe a little too obvious in coming, but they form a magnificent time capsule of the mid-80s music scene in Britain. It’s a rare film that can seamlessly weave Pete Seeger, The Smiths, Frankie Goes to Hollywood, and the Welsh choral music tradition into one soundtrack. One of the remarkable cultural touchstones portrayed in the film was a benefit concert called “Pits and Perverts” at the Electric Ballroom in London that featured the iconic gay New Wave band Bronski Beat. The benefit raised more than £5,000 for the miners and helped galvanize a political coalition between union and gay rights activists. These more personal subplots actually might have been handled better. Gethin’s reunion with his mother, which is supposedly after a gap of sixteen years, seems so easy you wonder what really came between them. Joe’s family places him under “house arrest,” and as his mother explains to him, she has the law on her side. But Joe’s parents are such caricatures—Dad worried about his “poofter” son and Mom worried about what the family will think—that it’s hard to take them seriously. Still, the story of societal and economic outcasts finding friendship across barriers of class and culture is a moving one. Both groups face an existential crisis. “Without that pit, these villages are finished,” Bill Nighy intones in his mesmerizing lugubriousness. 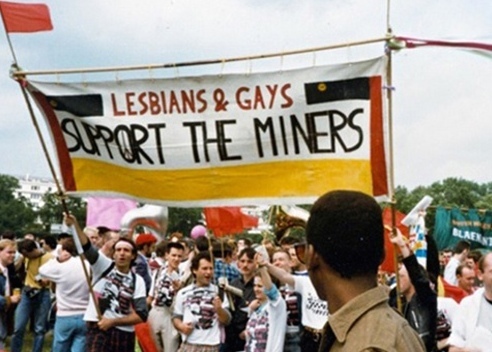 Lesbians & Gay Support the Miners at Gay Pride London 1985.
died at age 26, Jonathan Blake was the second person diagnosed with HIV in the UK, and is, remarkably, still alive at age 65. Still fascinating is the way these British industrial dramadies have cast the decline of the working class as a crisis of masculinity. In Brassed Off, it was the stubborn pride of Danny Ormondroyd (the late Pete Postlethwaite) that kept the colliery band going even when the colliery was closed. In Billy Elliott, it was the conflict between Billy and his father and older brother, who wanted him to box, when all he wanted to do was dance. In The Full Monty, the Sheffield steelworkers saw their manhood as a dead end of evolution, so did the only “work” they felt they were still good for, which was stripping off for the local ladies. In Pride, the miners have to accept help from men they deem to be perverts, degenerates, failures of masculinity. Somehow, it always comes down to hard men accepting something “soft” about themselves—their own vulnerability, their need for artistic expression, or just their need for help. 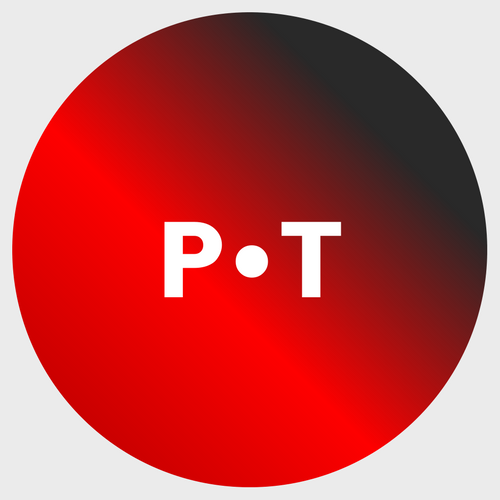 The “Pride” of the title could be Gay Pride, or Union Pride, or simply the pride of place of the human heart in the face of annihilating technologies of power.